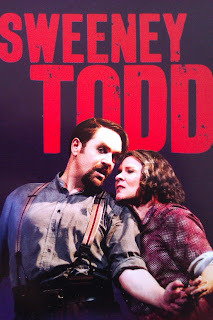 When I first heard that Michael Ball would be playing Sweeney Todd it was hard to imagine. How could the nicest guy in musical theatre effectively portray one of musical theatre’s most dark, tortured and vengeful characters? Michael Ball is a man with a gentle demeanour who croons ‘Love Changes Everything’ whilst displaying a big, cheesy, amiable grin; Whose recent other roles have been the family friendly ‘Chitty, Chitty, Bang, Bang’ and ‘Hairspray’. I’ll tell you how he effectively portrays it – because he’s a damn good, versatile actor. Despite this being a million miles away from the roles we’re used to seeing him in, he doesn’t merely pull it off, he owns the role and brings a presence that is truly scary and intimidating. I watched an interview with him earlier on ITV’s Loose Women and they said some people haven’t even realised that they are watching Michael Ball and (although I wonder why they haven’t at least glanced at the cast board) I can see how if you didn’t know he was in it, you wouldn’t realise. Not just because, visually, he looks so different with his slicked down, greasy hair and beard and moustache combo but because he immerses himself so completely inside the character of Sweeney Todd, completely burying his nice guy image under the weight of this tortured soul. And that can’t be an entirely comfortable place to be night after night! But as many great playwrights have known since the Greeks put on their first play - when you have a heavy, dark subject matter you need to splice in some humour to really make it hit home. The sublime to the ridiculous, as my English teacher would have said. And this is where Imelda Staunton shines as the truly psychotic Mrs Lovett. Her comic timing and delivery is perfect and doesn’t miss a beat; She has all the audience howling with laughter often throughout the show. This, perhaps, helps to create an even thicker disturbing atmosphere when we realise we’re laughing even during the horror playing out before us. One of my favourite parts is the ‘A Little Priest’ scene, after Sweeney Todd declares vengeance upon the entire human race and Mrs Lovett realises she can use Sweeney’s victims as the meat for her pies! – the subject matter may be terrifying but the song is jovial and trivialises the situation to a simple business transaction. This scene really highlights the chemistry between Michael Ball and Imelda Staunton as they bounce off each other and this is delightful to watch as an audience member; Good chemistry between the lead actors can make such a difference. I think it’s important to also mention the ensemble in this review as they are an integral part of the production. They pitch in at pivotal moments with their ‘Ballad of Sweeney Todd’ a discordant and disjointed eerie song requiring harmonies that both blend and clash. 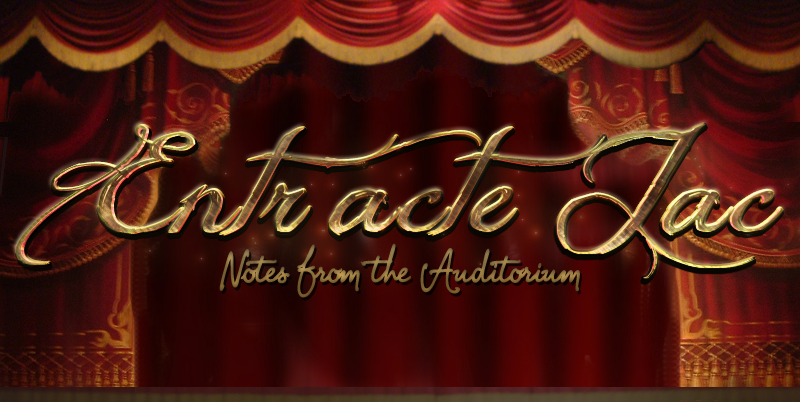 Each ensemble voice is heard and there’s not a weak link in the chain. I’m going to mention Adam Pearce in particular as I enjoyed his facial expressions during the shaving contest between Pirelli and Sweeney and think that this added an extra element of humour to it. There’s some striking images during the production, for example, when Sweeney Todd says ‘At last.... my arm is complete’ and holds up the razor. He is lit in a prism of light focusing our attention on the new extension and what that means for the story to come. 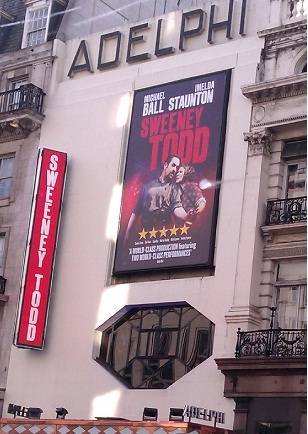 Sweeney Todd is at the Adelphi Theatre for a limited run until September 22nd, so I urge you to book now. This is one not to miss. Check out the official website http://sweeneytoddwestend.com/ for more information & to book tickets.